In summer, people get summer vacation in the middle of August. It also falls on Obon. Bon dancing, or Bon Odori (Odori means dancing in Japanese) is famous and many summer festival with Bond Odori take place all over Japan at this season. 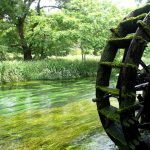 This Bon Dancing has its history and containing wish of people. 1. What does Bon mean? 5. When is Obon and its festival? The word Bon came originally from ullambana of Sanskrit. The word ullambana is from Buddhism in India. 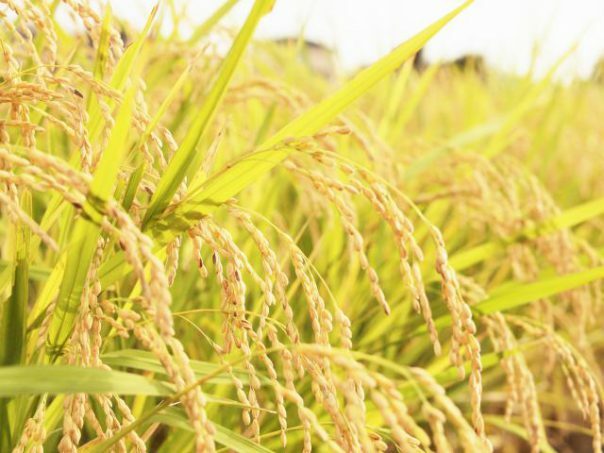 It spread and was called Urabon in China. 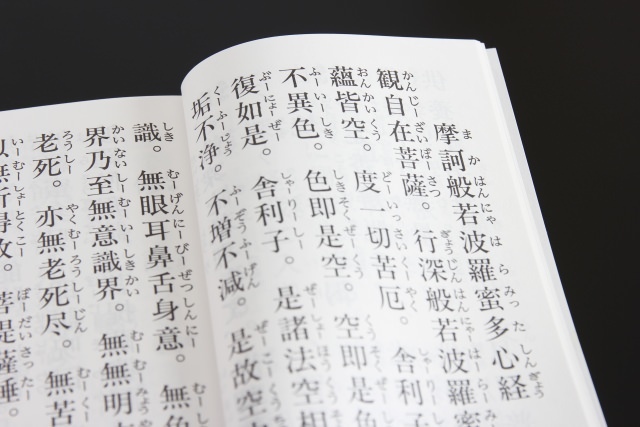 This Urabon is phonetic equivalent of Chinese character. And it was abbreviated as Bon in Japan. 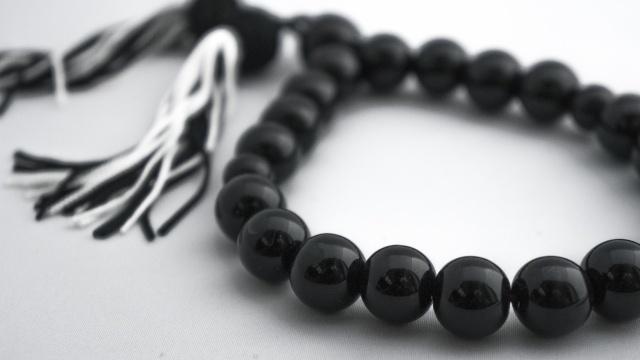 The Bon in Japan was made by combining its origin ullambana and traditional ritual, ancient ancestor worship in Japan. Origin of Bon Odori has 2 stories. And both stories have its main characters. 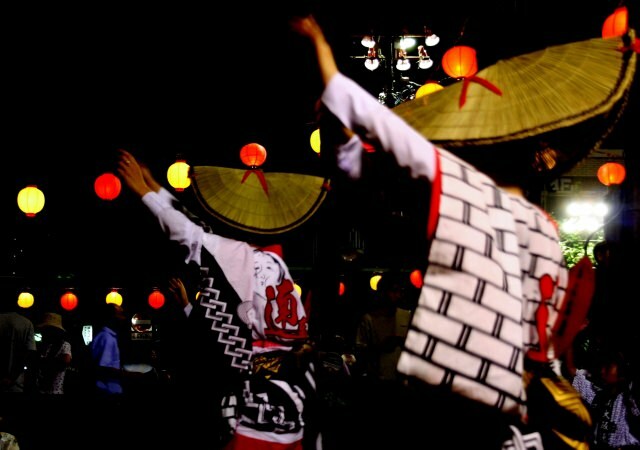 The origin of Bon Odori goes back to Heian period (794 to 1185). There was a Buddhist monk called Kuya and he was thinking what is the best way to spread preach or prayer at the time. Then he came up with the idea of dancing while hitting Gourd when he prays. This was called Odori Nembutsu. Odori means dance and Nembutsu means recitaion of the name of Buddha. 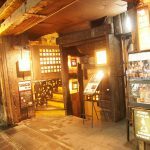 It is said that it combined with Urabon-e (its origin is ullambana) which holds a memorial service for ancestors and became Bon Odori. Looks like it spread nationwide in Kamakura period (1185 to 1333) by Ippen Shonin who was a Buddhist itinerant preacher. With time, face of Buddhism or religion faded away and came to have a face of entertainment. The place Bon Dancing held also became a place in which men and women meet together. So things happen when men and women come together at night. The night also fell on the night of full moon that it might made people excited, too. So the police came to intervene and strictly controled people in Meiji period (1868 to 1912). But later, it was allowed as one of the entertainments in local area or village and people came to enjoy Bond Dancing again. The word ullambana means suffering of hanging upside-down in Sanskrit. Sounds scary but why does this “suffering of hanging upside-down” connect to Bon Odori? There was a disciple of Buddha called Mokurensonjya. After a long practice, he got a supernatural power. Using his power he looks for his mother but only to find her in Gakido (Hungry Ghosts Dimension). There, she had been hanging upside-down. He tried to give her water and food but the water became hot water and the food burst into flame just before her eating. He asked Buddha the way he save her. Buddha replied the only way is with the help of hundred thousand priests who attained enlightenment. Buddha suggests that to pray and offer them food on 15 July (15th July in Lunar Calendar). Then Mokuren follows Buddha’s advice and save his mother from Gakido. With his joy, he danced around. We enojy Bon Odori, but the original meaning was to comfort the spirits of ancestors. Tama is Tamashii which means spirit in Japanese. Shizume, or shizumeru means to comfort in Japanese. People welcome spirits of ancestors and see them off when it (Obon) ends. 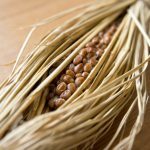 It is said that people also dance wising for a good harvest. People also thanked the blessings of nature. Looks like they expressed their gratitude to nature by dancing. Favorite foods of the departed are offered. Along with it, seasonal fruits, dumplings and ragugan are offered. 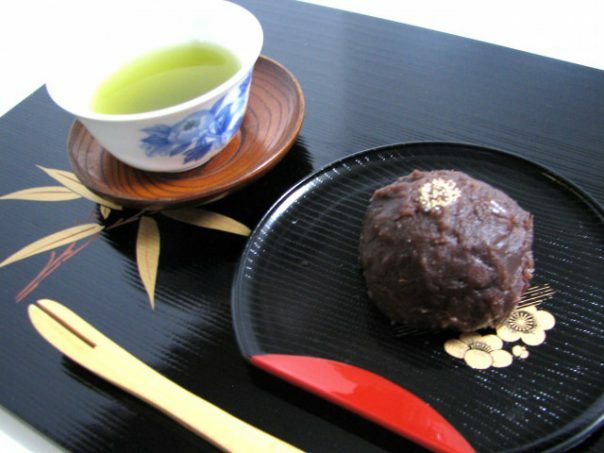 Rakugan is the Japanese dry confection of starch made with rice, soy flour, etc) and sugar. It looks very beautiful and usually in the shape of lotus flower. I remember I thought this is an interesting offering when I first saw Shourouma as a child. My mother was making it and offered it at the alter. 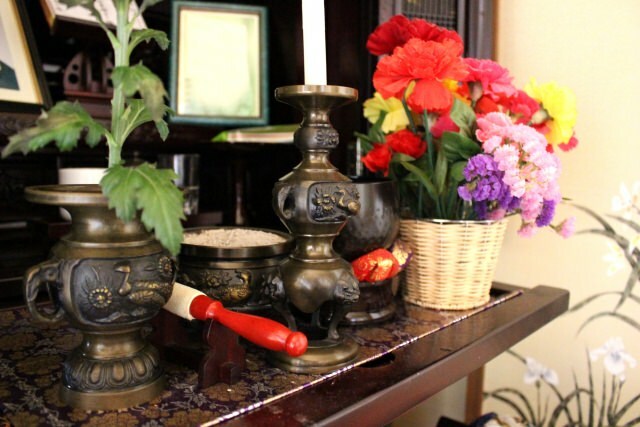 As you know, altar is a holy thing and place from the decoration to the all the offerings. But only this shourouma looked a bit cute or comical to me. 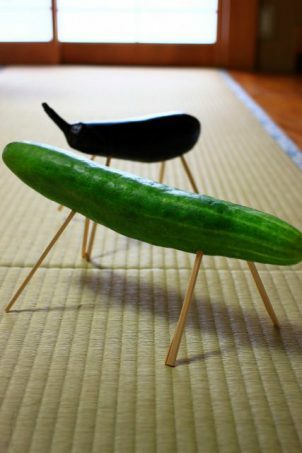 They were cucumber and eggplant inserted toothpicks in them and they imitated animals. I did not the meaning at the time but later found they had a certain meaning. Cucumber with 4 toothpicks meant horse. With the horse, the departed can come back quickly to the home. Eggplant with 4 toothpicks meant cow. With the cow, the departed can return slowly to the world and cow can also carry many offerings. So the horse and cow contained wishes of the people toward the departed. 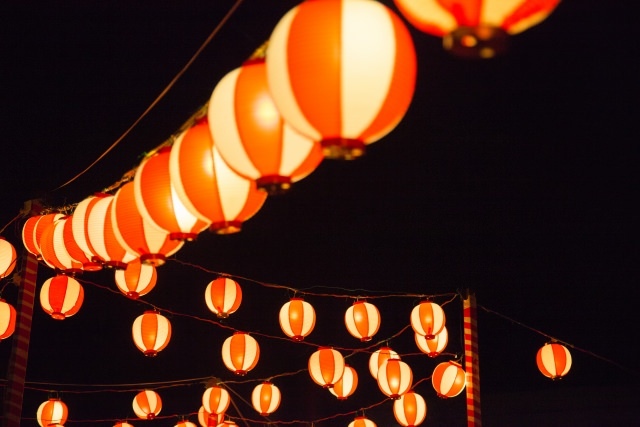 When is Obon and its festival? 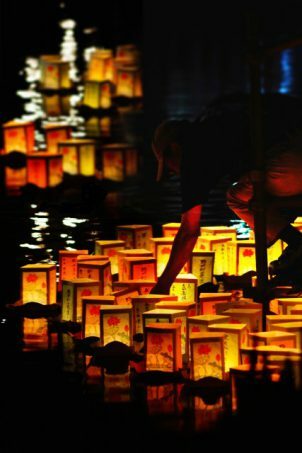 Obon is between 13th August and 16th August (some places are between 13th July to 16th July). People welcome spirits of ancestors at the evening or night on 13th August by making small fire at the entrance of one’s house. Mukae, or Mukaeru means welcome and bi, or hi means fire. 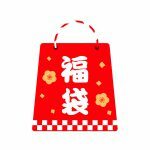 At the night of 15th August, which falls on 15th July in the lunar calendar, people enjoy Bon Odori under the full moon. People in the old days look like danced from the night to the next morning. At the night of 16th August, people send spirits of ancestors off by making small fire at the entrance of one’s house like the time of Mukaebi. Okuri, or okuru means send off. So people think or feel spirits of their ancestors for a short time of this Obon. 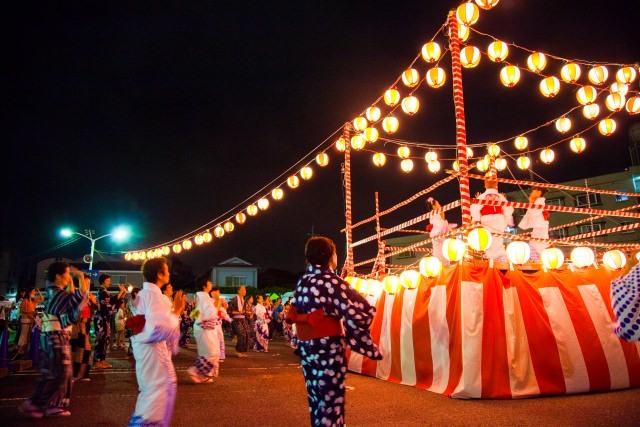 Here are 3 major festivals of Bon Odori. Awa Odori in Tokushima might be most famous. So Obon is the time to remember those who once lived while enjoying Bon Odori. 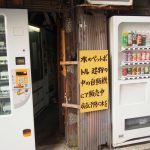 Many people also get summer vacation at this time so people return to their hometown or pay visit a grave. I remember Bon festival in my home town. I sometimes joined the festival with friends at night and there were a lot of food stalls. In the center, I also could see the place for people to dance. People were dancing to the music or rhythm of drum. By the way, do you know anime Arare-chan? 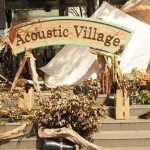 I could hear traditional musics in the festival but somehow among them I often heard Arare-chan ondo (Dance Music), too. People had been dancing to this Arare-chan Ondo, too. I even had a class to learn dance used in the Bon Festival. 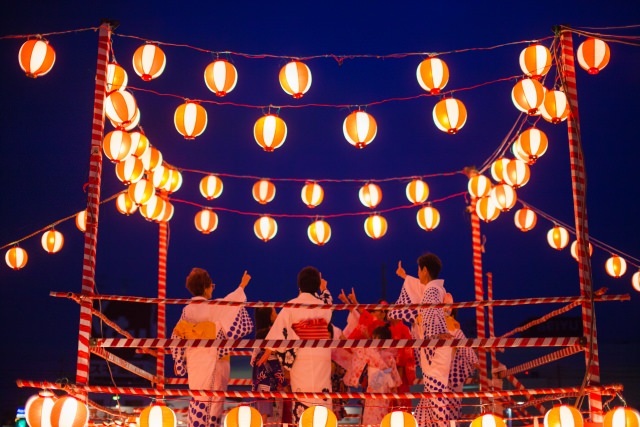 If you come visit Japan in the middle of August, it is a good chance to join this Bon Odori. 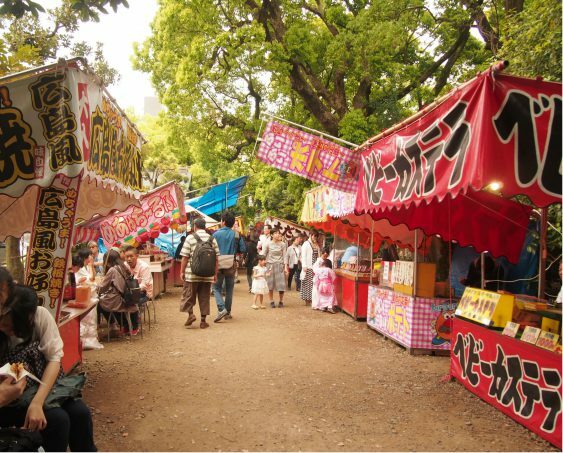 Enjoy traditional festival food such as Yakisoba (Japanese fried noodle), Okonomiyaki (Japanese style pancake), Wataame (Cotton candy), etc. too!! 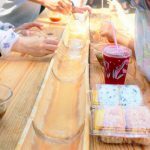 Japanese Fermented Foods: 8 Healthy Diet to Try!! How is Japanese Wasabi Made? 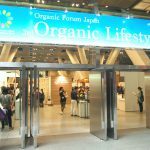 Visited Organic Lifestyle EXPO 2018 in Tokyo! 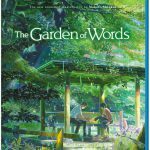 Biggest Organic Event in Japan! !